Tags: big slot win, casino jackpot, Elmer Sherwin, Las Vegas, Megabucks, World War 2. Back in 2005, a 92-year-old World War 2 veteran who goes by the name Elmer Sherwin has something unique in his life that most people cannot possibly experience, and that is, being able to win a Megabucks slot machine jackpot, not only once, but two times! It is indeed the very first time that someone has managed to win a sizeable jackpot twice in a lifetime. In 1989, Sherwin's first jackpot win was $4.6 million when he played a Megabucks slot machine at the Mirage, just a few hours after the grand opening of the casino on the Las Vegas Strip. He was 76 years old at the time. In 2005, he again won playing the same slot game, but it was a whopping $21.1 million at the Cannery Casino in North Las Vegas. Cannery Casino spokesperson Aimee Worth said that after Sherwin won the first jackpot, he stated it became his "life's dream" to win it a second time. 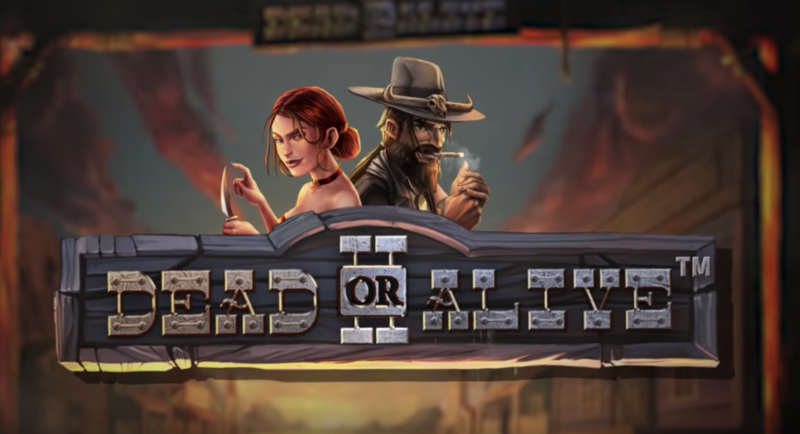 The Megabucks slot machine game by International Game Technology (IGT), is a dollar-slot machine with an accumulating jackpot prize which only needs a $3 bet in order to hit the top prize. The jackpot amount resets at the $7 million mark whenever a jackpot is won, and shall accumulate again until such time the winning jackpot symbols are hit once more. The chance of winning the grand prize in the Megabucks slot machine is less than 1 in 10 million. Awards can either be paid in annual instalments or a lump sum. The highest jackpot ever won in Nevada history was actually through a Megabucks slot machine in March 2003 - a 24-year-old software engineer from Los Angeles managed to hit the winning symbols and won a massive $39.7 million! IGT issued a statement saying that Sherwin stated he would like to win the award for a second time, and surprise his family with the news. He said, "I'm glad I finally hit; I've been trying to do it again. I want to see the looks on their faces when they hear." Sherwin donated a nice portion of his winnings to the Hurricane Katrina relief fund. He continued to share his blessings with his family, including his son and daughter-in-law in Las Vegas. On his interview on the second win, he said, "I'm gonna try for a third win on Megabucks, but I may try the Wheel of Fortune slot too." Sherwin's third attempt to win the jackpot never came to fruition as he unfortunately passed away two years later, on March 23, 2007, at age 93. 11 comments for "The Slot Machine Player Who Beat The Odds Twice!" well yeah, this dude was a legend in the slots world I guess, it's more or less like when lighting hits you twice standing in the same spot. so in total he scooped well over 25 millions of dollars from slot machines... wow that is amazing result to be honest. Great story, but the gentleman died 11 years ago and his wins were 1989 and 2005, which causes me to wonder why the story now? However, nicer to read than "individual stabbed/shot/beaten/robbed" after leaving casino, so I can see it's merit. P.S. I guess it's also still close enough to the US Memorial Day and he was a vet. Well what can you say here. Not once but twice a huge jackpot. And we can say that the first one was huge... The second one with 21 millions. How do you describe this one? I think you can say he was a winning player, by playing the slots. This man played a lot to win a jackpot for the second time but for trying to succeed the third time i think he played not two much from 2005 until 2007 because his age was too advanced. I'm sure he slept sometimes in casinos. It's not so easy to be fresh when you are nonagenarian. Who knows how much he was gambling, in terms of money and time. But i would never try to win a third jackpot like this. Random player after the first one yes, but also trying for a second one? If you read the story on the internet of this man you will learn more about this. Over the years this person has always enjoyed playing Megabucks slots. Usually he earned at least some of the smaller prize money. He was a gambler of this slots. A lucky man. If he had played slots for 10 years it was possible to succeed once but who knows. why luck chooses people like this at the end of life what they can do for others but for their family and luck pick the right people because this man of 92 years donated much to help the people he knew then I'm glad to be him. yeah,what a luck you have to have,to hit two times same jackpot with such a huge amounts!this was great for him at that time!too bad that he didnt had more change to try to win for third time!maybe he was old at that time,,but he knewt what he want! 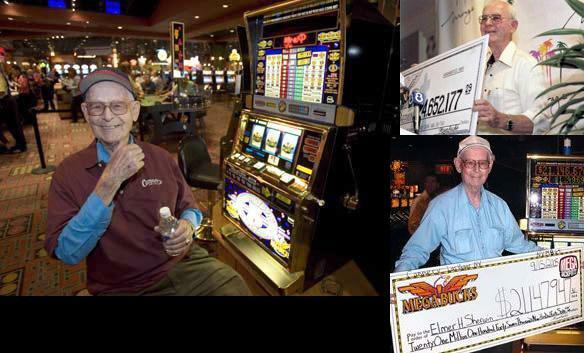 Wow, gigantic congratulations must go out to Elmer Sherwin, a WWII veteran, on hitting the jackpot not just once, but twice in his life. His incredible achievement must attract slot machine enthusiasts all over the globe.